A significant part of the British left, especially since the June 1967 war, tends to denounce Israel as a state and Zionism as an idea. Ostensibly, these attitudes are grounded in the anti-colonialism and anti-racism which have been staple causes for the British left since the sun began to set on the Empire. These grounds, however, are called into question by those who detect the hidden hand of antisemitism at work. The lecture will examine key concepts and arguments in this controversy, seeking to bring the issues into sharper focus. 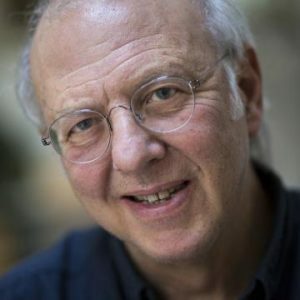 Brian Klug is Senior Research Fellow in Philosophy at St. Benet’s Hall, Oxford, a member of the faculty of philosophy at the University of Oxford, and Honorary Fellow of the Parkes Institute for the Study of Jewish/non-Jewish Relations, University of Southampton. His most recent books are Words of Fire: Selected Essays of Ahad Ha’am (2015),Being Jewish and Doing Justice (2011) and Offence: The Jewish Case (2009).